If you do not wish to vote at this time, click here to visit My Profit Land stats. It is an online browser game, therefore you do not need any other programs installed in order to play. It is one of the few business games where you are rewarded for your daily activity. 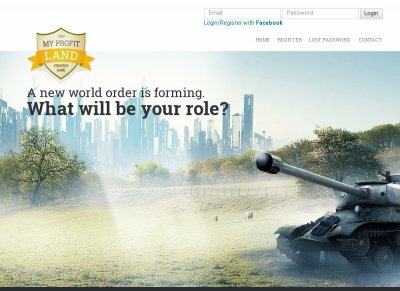 As a simulation game, it offers you the possibility to fight, work, open companies, start wars. It is a very complex game, and the more you play it, the more options you will find for your own development.